Known for their officially licensed and finely crafted video game art, Cook and Becker are at it again. This time, they’ve designed these subtle yet elegant notebooks based on two more beloved games: Horizon Zero Dawn and The Witcher 3: Wild Hunt. Both notebook sets are inspired by key game artwork and “several pages contain concept art, sketches, and textual observations” directly from the studios behind the games. Fans have the option to purchase the Limited Edition or the Collector’s Edition of each notebook. 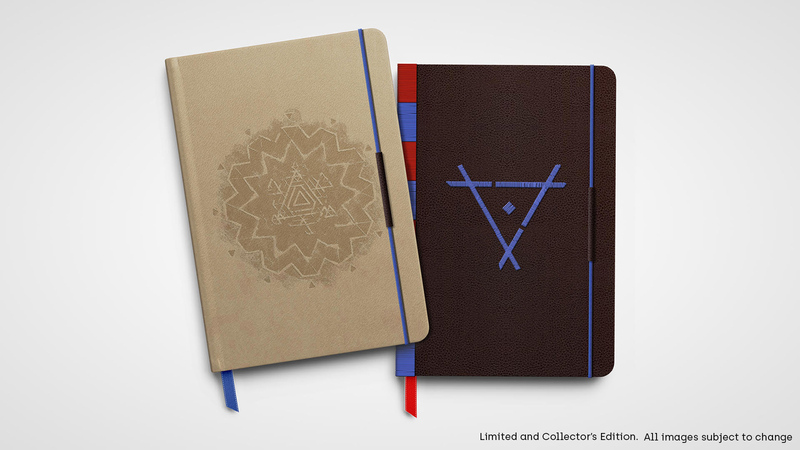 You can preorder the Horizon Zero Dawn note book here and The Witcher 3: Wild Hunt notebook here, on the official Cook and Becker website. Both collections are expected to ship in December 2018. – Subtly lined, pearl colored 80 gsm paper. – Wrapped in see-through paper and sealed with a sticker/label.